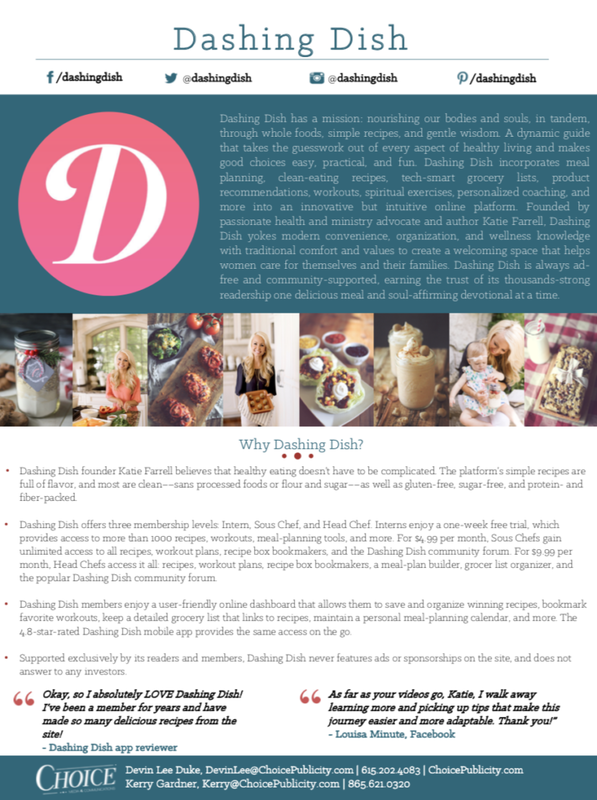 Katie Farrell is the founder and face of Dashing Dish, a healthy lifestyle website and recipe subscription service designed to nourish readers’ minds, bodies, and souls. 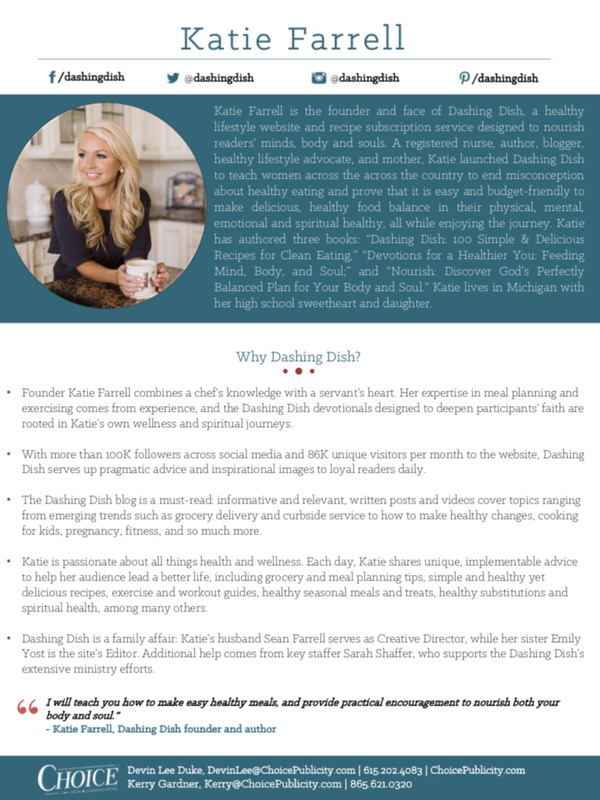 A registered nurse, author, blogger, healthy lifestyle advocate, and mother, Katie launched Dashing Dish to teach women across the country to end misconceptions about healthy eating and prove that it is easy and budget-friendly to create a healthy balance in their physical, mental, emotional and spiritual lives, all while enjoying the journey. 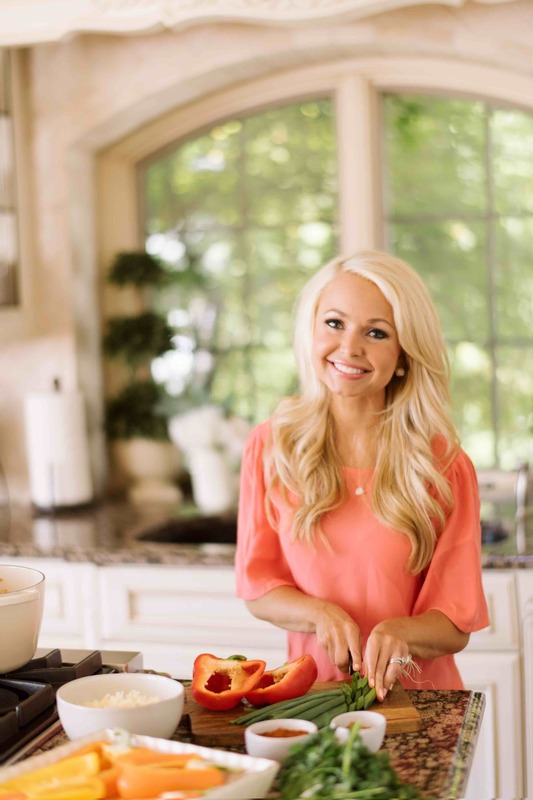 Katie has authored three books: “Dashing Dish: 100 Simple & Delicious Recipes for Clean Eating,” “Devotions for a Healthier You: Feeding Mind, Body, and Soul;” and “Nourish: Discover God’s Perfectly Balanced Plan for Your Body and Soul.” Katie lives in Michigan with her high school sweetheart and daughter.